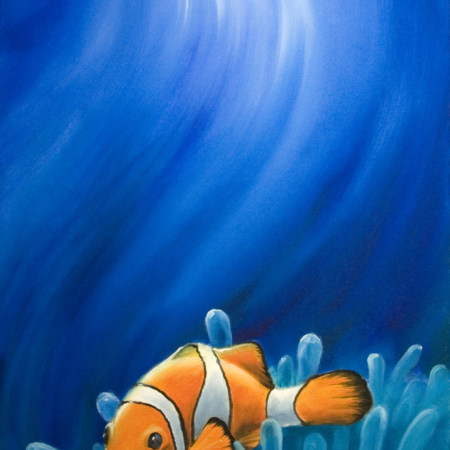 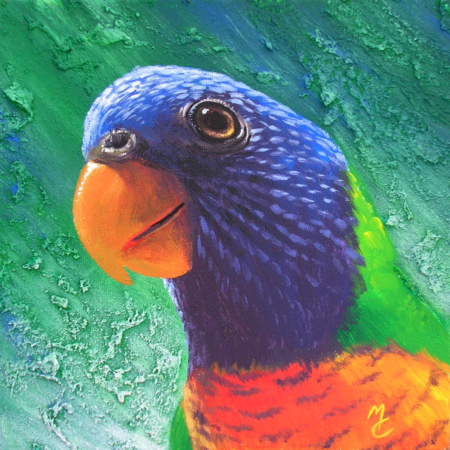 About this painting: Featured in Artist’s Palette Magazine. 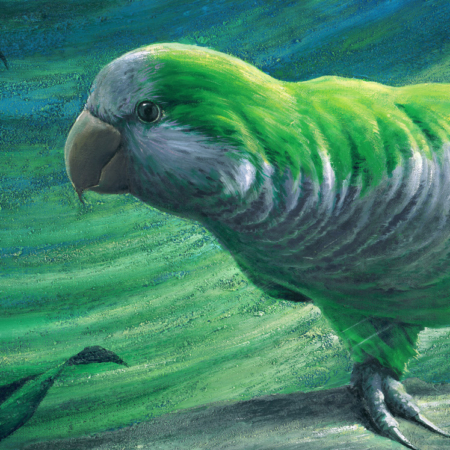 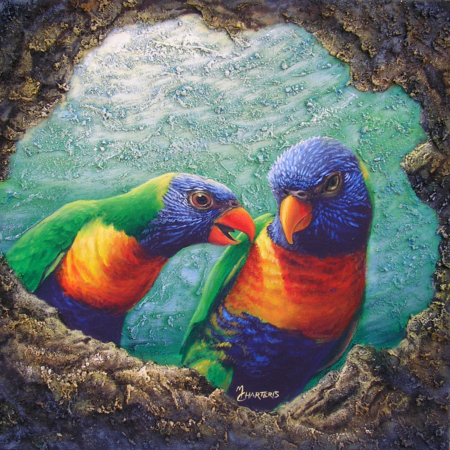 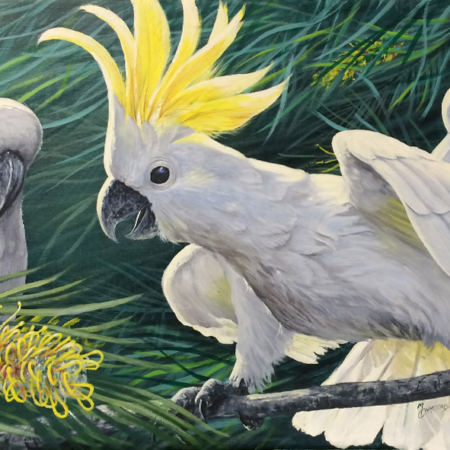 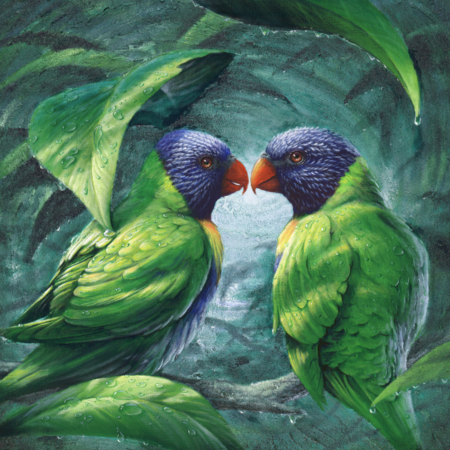 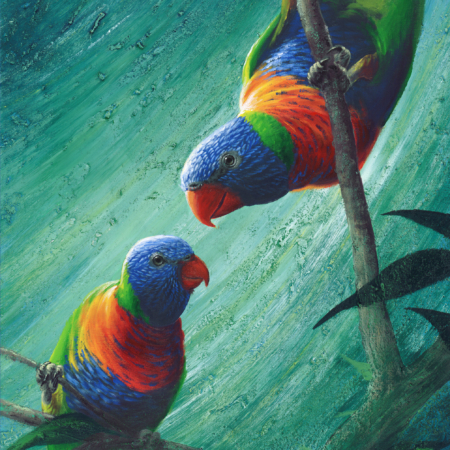 This demonstration piece is part IV of the Rainbow Lorikeet series. My birds would always go crazy when we put fresh sunflowers out for them. 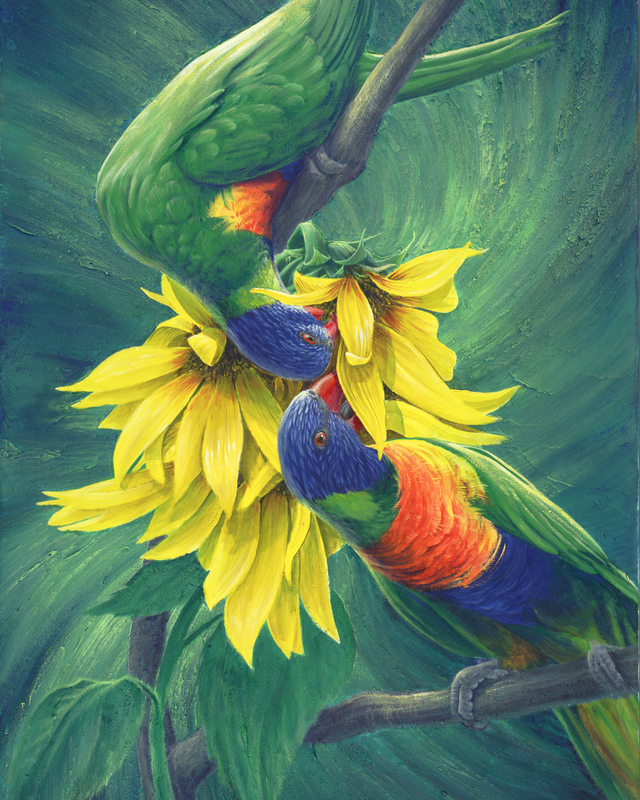 I wanted to capture some of the weird and frenzied lengths the birds would go to to get to the seeds, flipping upside down and twisting their heads almost 180 degrees.